The announcement on the ministry’s official Facebook page. KUCHING: The Education Ministry said the new ruling on black school shoes will be implemented in stages. This is so that parents and students will not be burdened by it, said the Education director-general Datuk Dr Amin Senin in the announcement made on the ministry’s official Facebook page today. “We (the ministry) would take into account all factors to avoid burdening parents and students. “Some of them may have already bought white shoes in advance, while others might not be able to afford new shoes,” he said. 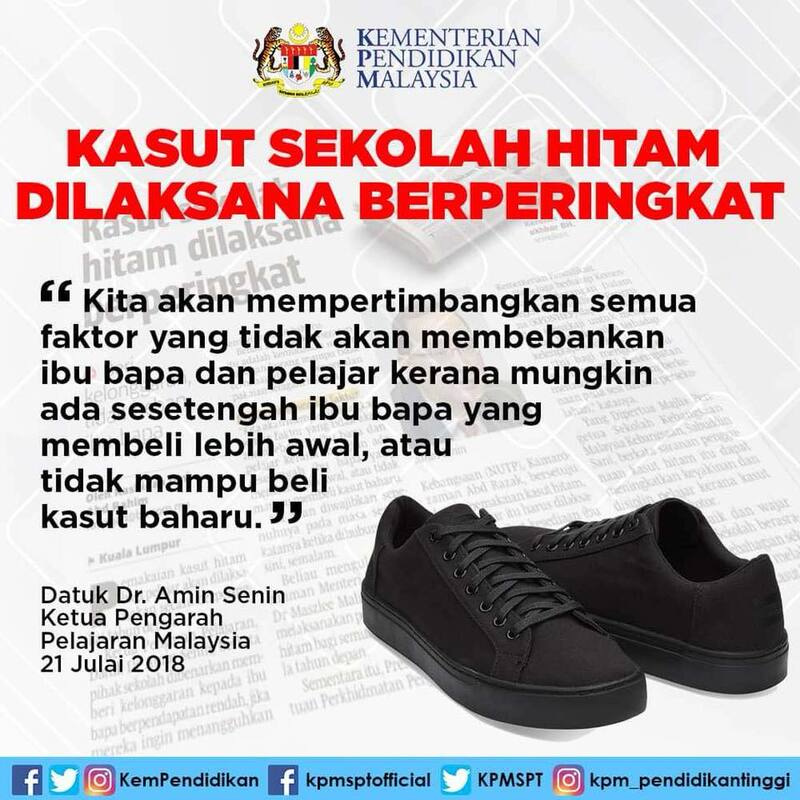 On Thursday, Education Minister Maszlee Malik said schoolchildren would be allowed to wear black shoes from next year.